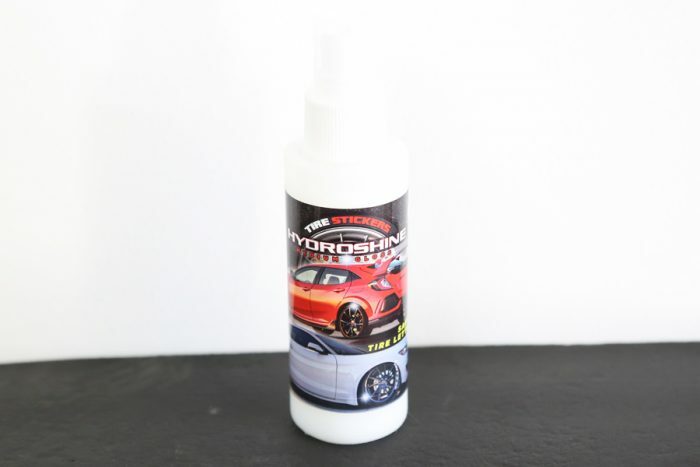 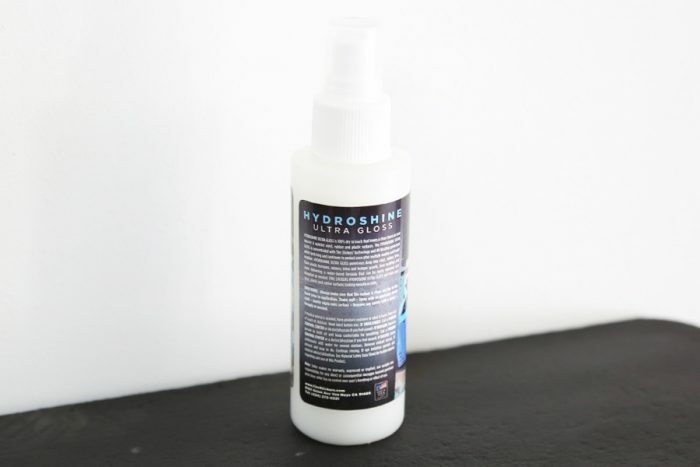 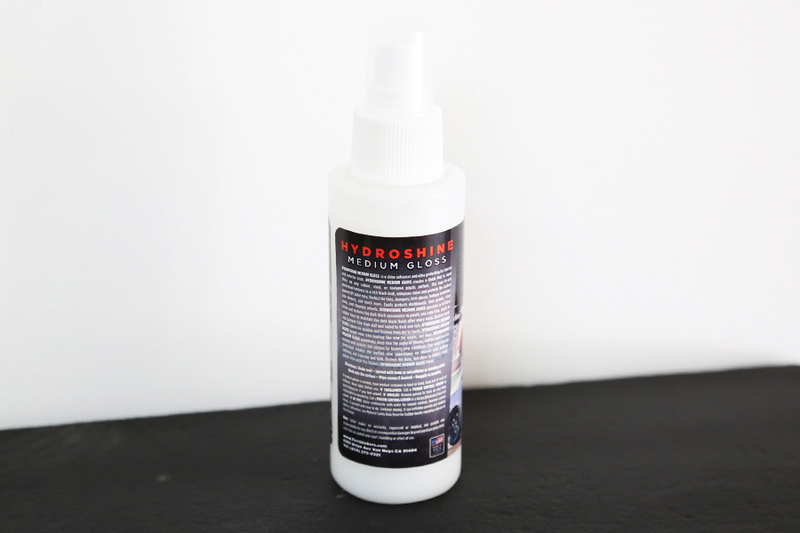 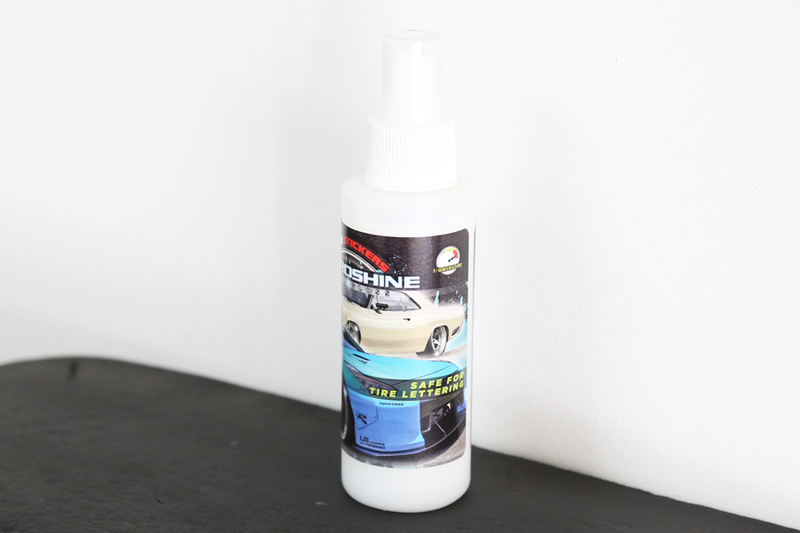 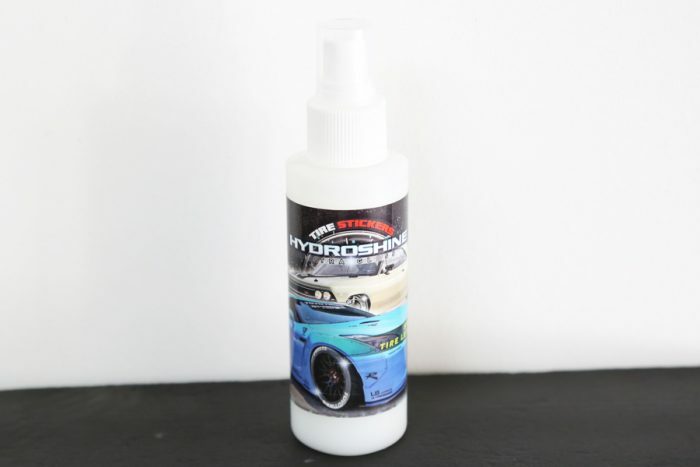 Hydroshine – Water based tire shine safe for spraying on Tire Stickers! 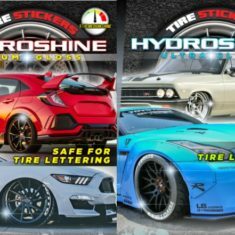 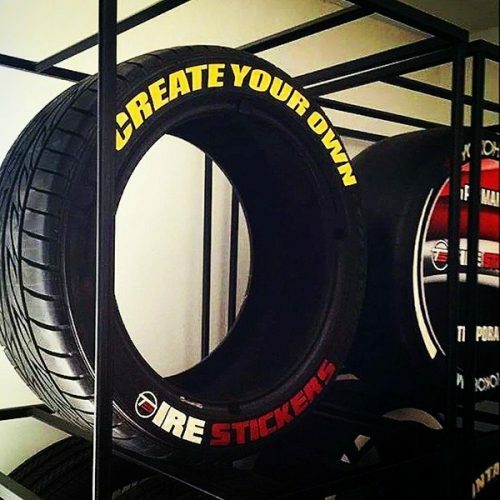 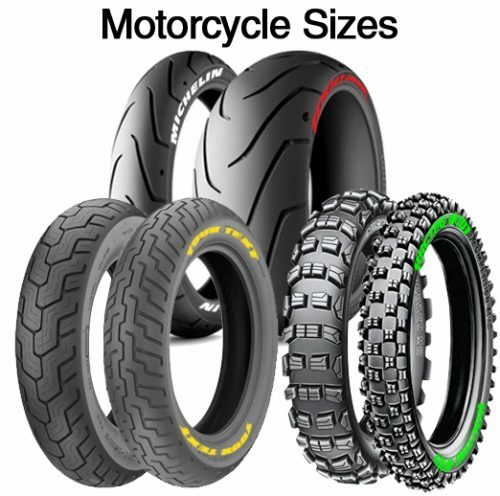 Hydroshine is a new waterbased Tire Wet product that is water based and can be sprayed onto Permanent Raised Rubber Tire Stickers without damaging or discoloring the product. 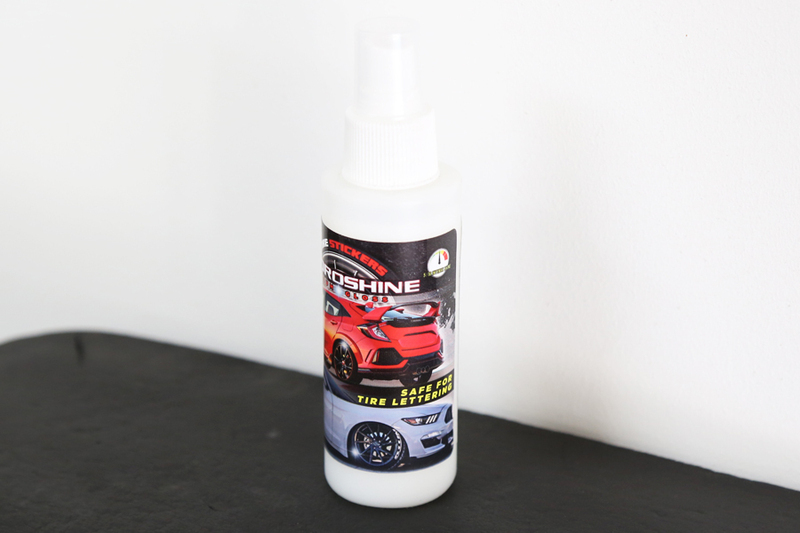 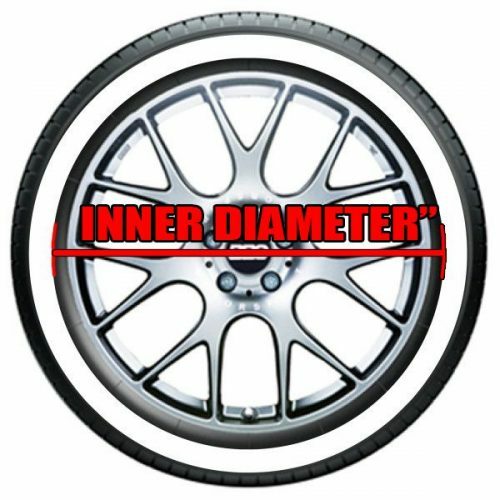 Since there is no oil used to produce Hydroshine, we are able to maintain the wet tire look without putting the look of the tire lettering at risk.